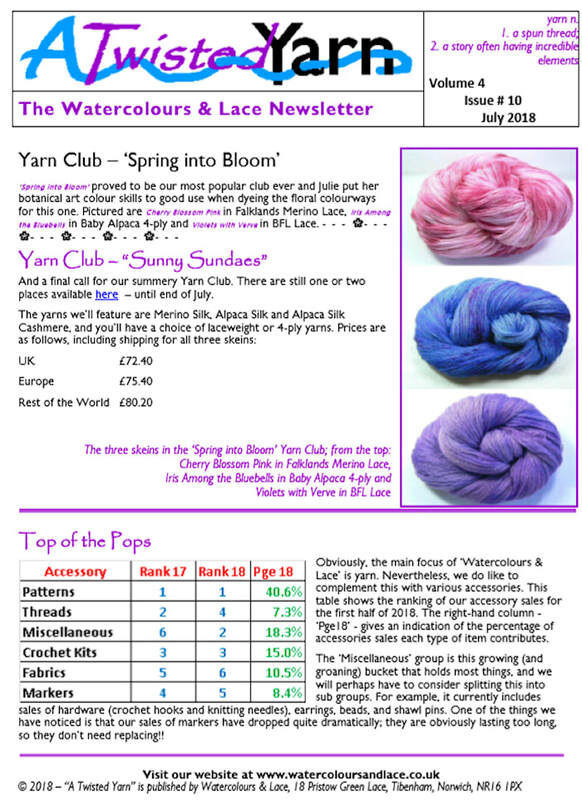 "A Twisted Yarn" - our regular newsletter - is emailed to existing customers and those who sign up to our mailing list online or at shows. A sample page is shown below. It includes news of our latest yarns and designs, details of yarn events, plus competitions, special offers and other snippets of interest to those who love natural yarns. To see some of our earlier issues, click on any of the downloadable pdf files below right. To sign up and have future editions delivered direct to your email address, fill in the form on the Contact page (you can cancel at any time).